by Jason Potgieter, directed by Kim Kerfoot, performed by Jason Potgieter & Alici McCormick. Presented by Instant Arts Collective. Five people’s experiences of a life. The Things You Left Behind isn’t a love story. It’s the story around a love story. It’s the story of all the heartbreaks, little and large, that affect others on the periphery of the lovers’ grand narrative. In a series of five hilarious, moving and intensely human monologues shared by two actors, it takes on the unexpected, the unexplored perspectives on the age-old tale of relationship break ups. From the perspective of Delores, the drag queen from Delft, to Erwin, the only white car guard in the city, the characters are drawn simultaneously closer to the love story and a car accident that connect them. Also caught up in the unfolding events are a would-be philosopher paramedic, an ex-lover about to get married and a mother hooked on therapy. 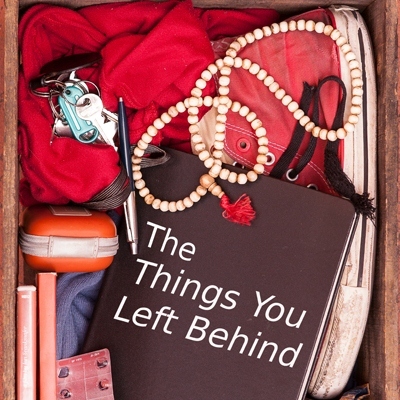 The Things You Left Behind reveals the subtle, profound bonds that life forges between complete strangers, the hundreds of coincidences and connections that happen each day without us realising it.